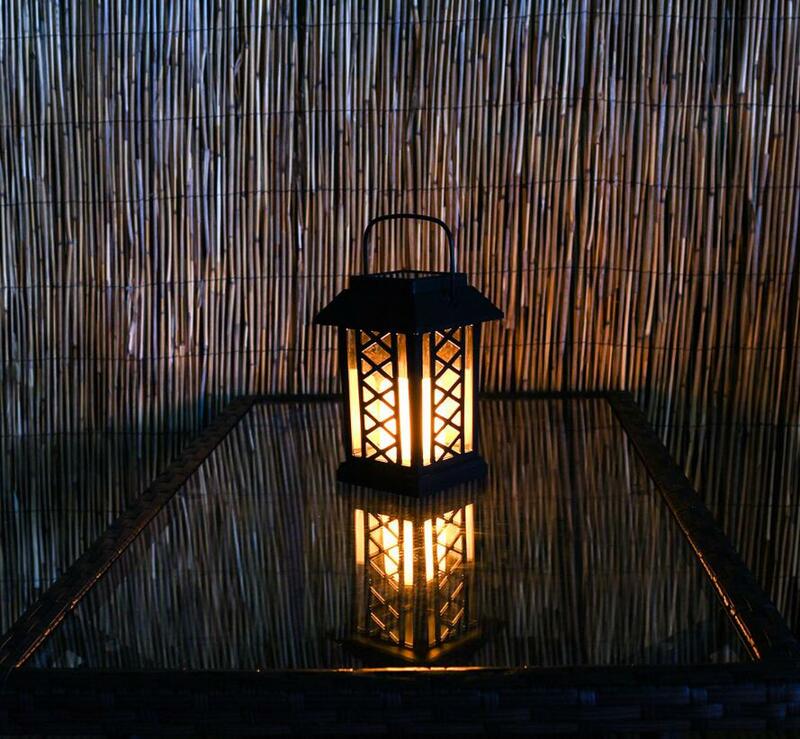 Brighten up your outdoor space with this traditional style, solar, flickering candle lantern. The design of the mould has a trellis effect in the centre of each panel, giving it more of a rustic look and feel. 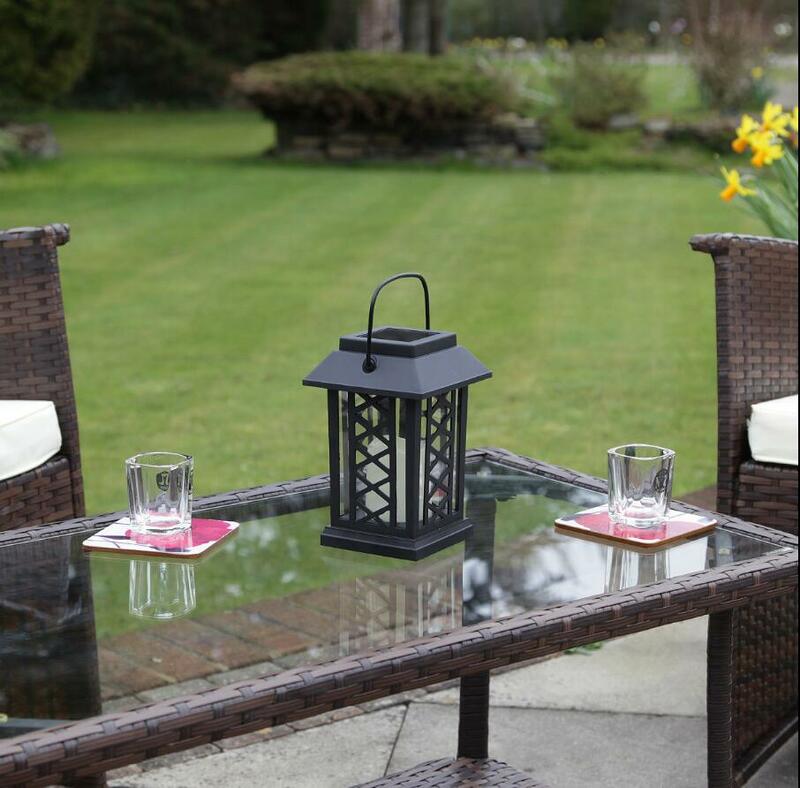 At 17.5cm in height, it is the perfect size to display either freestanding on a patio table, or hanging within the branches of a tree in your garden by the attached metal handle. 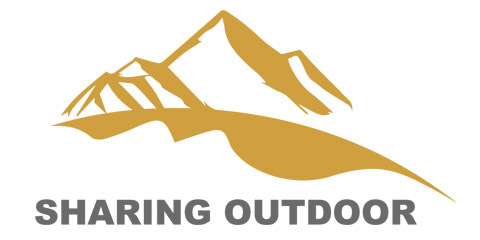 The integrated solar panel, located on the top of the lantern, charges the rechargeable battery using the sun`s energy throughout the day, which then powers the lantern. Once the intelligent light sensor detects that dusk has fallen, the amber LED housed within the candle inside the lantern will illuminate, flickering naturally and creating a beautiful, relaxing ambiance. 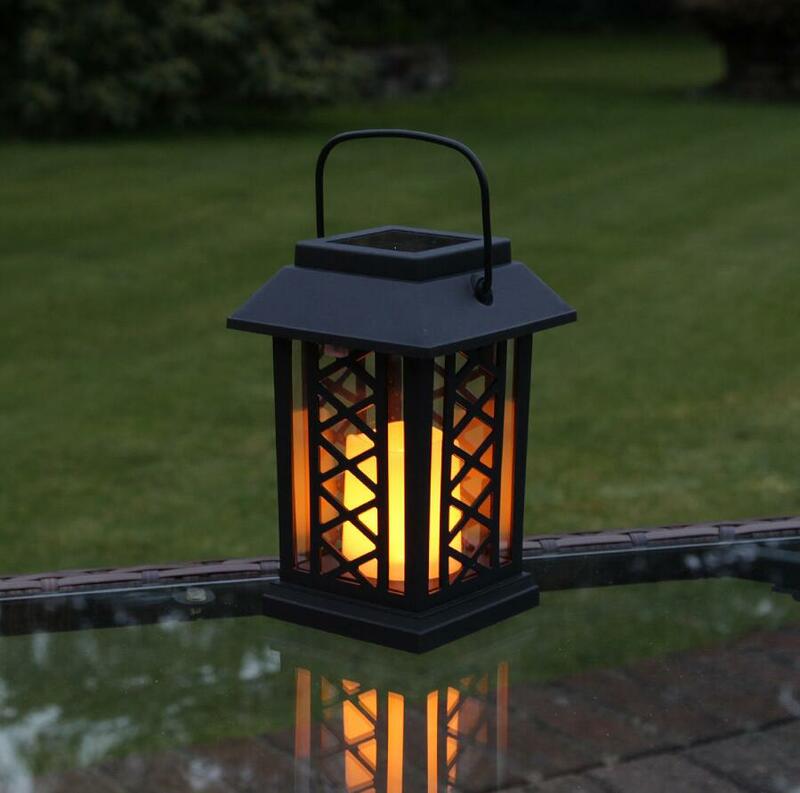 Looking for ideal Solar Powered Candle LED Light Manufacturer & supplier ? We have a wide selection at great prices to help you get creative. 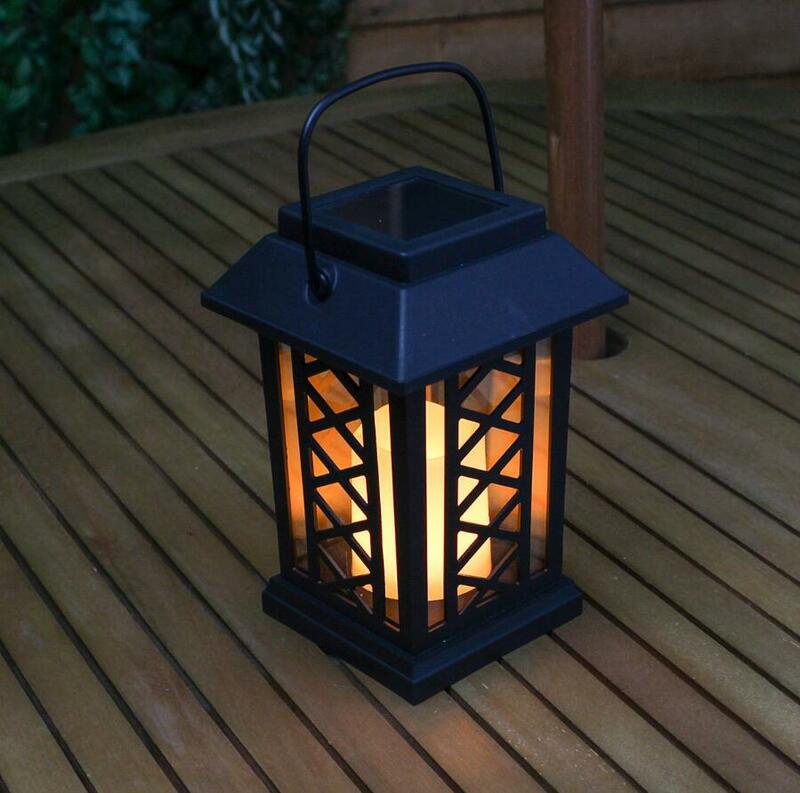 All the Decking Lawn Flower Decorative Light are quality guaranteed. 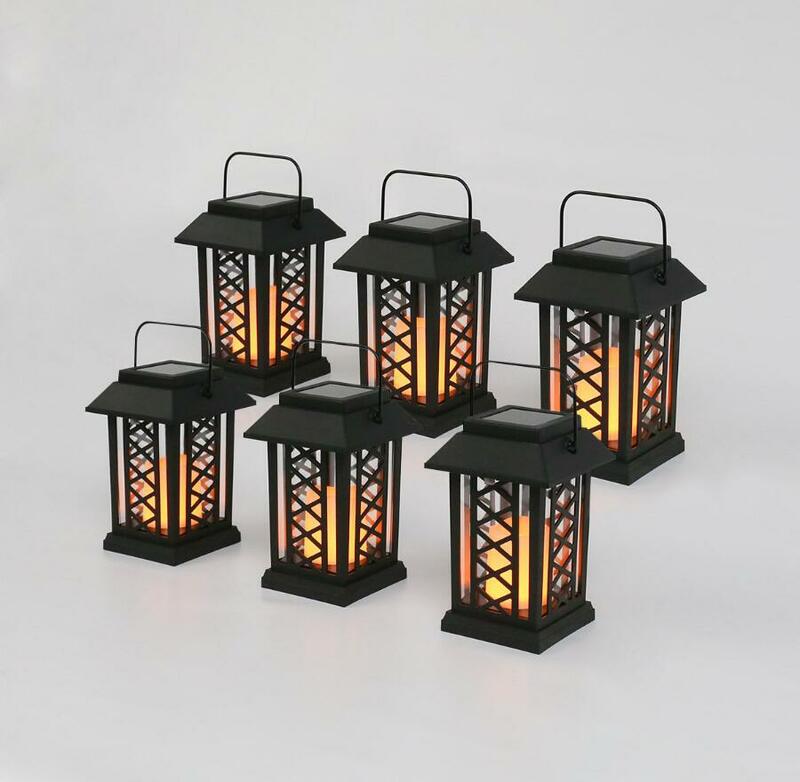 We are China Origin Factory of Outdoor Candle Lantern LED Light. If you have any question, please feel free to contact us.